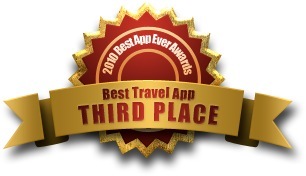 The results for Best App Ever 2010 are in, and The Cartographer has come third for Best Travel App! Thanks heaps to those who voted! Awards, The Cartographer. Bookmark the permalink. Both comments and trackbacks are currently closed.